Baseball is a sport of made up of explosive starts, high-velocity direction change, and the ability to instantaneously decelerate so that you can redirect your speed into the direction of where you need to go. Because of this, speed and agility are crucial aspects to becoming a high-performing and well-rounded baseball player. If you’re on offense, speed is a major advantage because the defense has to get the ball to the base faster than the player on the base path. If you’re on defense, speed is a major advantage because a fast team is able to cover more ground and is even able to make up for any potential mistakes they make. 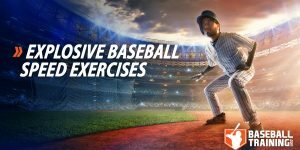 …although these super basic methods work in the beginning when an athlete is new to training, it’s not something that is going to continue their speed progression further as they become a more advanced baseball athlete. Careful program design structure needs to be in place because batters and runners need the ability to accelerate and decelerate suddenly, while defensive players need quick feet and lateral speed. Defensively, the players in the middle of the field (shortstop, second base, and center field) tend to be your fastest and most explosive players — then you have your corner players (right and left field, first base, and third base) who tend to be the next fastest — and lastly you have your pitchers and catchers who tend to be the least fast. 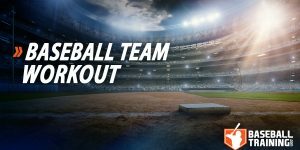 The differences here, of course, can vary from team to team or player to player, but that breakdown holds true in most cases due to the nature of their position and the specific speed and conditioning drills they would require to match their positions demand during a game. 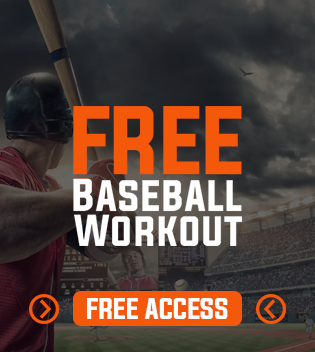 Even though a baseball game is a very long event, the bulk of the energy substrate demand required to play this sport comes from your anaerobic alactic system. 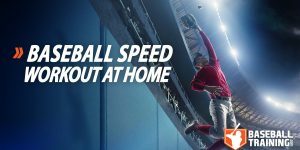 Meaning, even though a game is over an hour long, the bulk of your speed training should consist of highly explosive movement as that’s where the game-deciding plays and moves are coming from. In between those big moments is just recovery time and not actual gameplay. Being explosive is a requirement for baseball, which immediately makes it a requirement within your speed training. Don’t train slow, because if you train slow you will be slow. Period. The overwhelming majority of your speed and agility training should take place over very short distances and emphasize long rest periods for complete recovery (just like you would see in a game setting). Acceleration: Unless you’re in track and field, no athlete really ever reaches top speed levels in a game environment. For this reason, emphasizing hard on acceleration within your training in order to improve how fast you can cover the bases and how fast you can get under a ball is key. Deceleration: Your “stop-start” speed is crucial for base running, exploding into high speed, and for all of your defensive work. People work so hard on their start-speed, yet they forget that training the “stop” is 50% of the equation. Change of Direction Speed: Your ability to change directions on a dime is crucial for base running, base stealing, and all defensive play. The best athletes in the world look as if they lose no speed when changing direction, this is a trainable quality. Lateral Speed: Lateral speed is something baseball players forget about in their programming because a lot of coaches get a little too excited about things like HIIT. Lateral speed is something that is very “drill specific” (meaning, you won’t get it if you just sprint) and will increase your performance in base stealing and all defensive play. Anaerobic Conditioning: Although conditioning is different than speed, it is still a component of speed as it is your conditioning that will allow you to maintain your speed during a nine-inning (or more) game. Baseball Specific Mobility Drills: Mobility is required within a baseball speed training program because if you’re not moving correctly you will never be able to execute the technical aspects of speed at a high enough level in order to reach a truly elite level of performance. Beyond this, mobility work can help keep you injury-free so that you can spend more time training, and therefore spend more time getting faster. *C1 and C2 is a superset, so you will perform the lateral lunges, rest 10 seconds, then the planks, and then rest 1 minute, before starting the superset again for a total of 4 rounds.